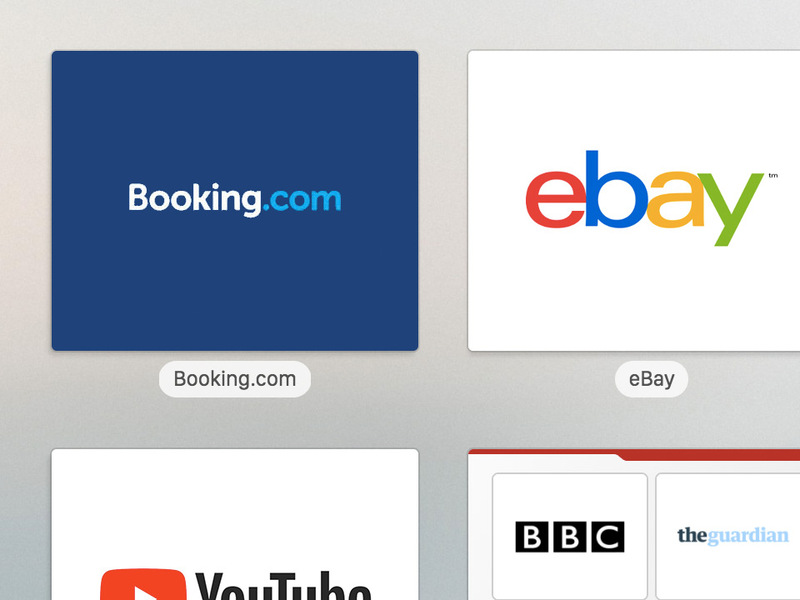 Keep shortcuts to your favorite sites a click away by adding them to a Speed Dial. These customizable thumbnail links are shown on every new tab page. Explore your history in a whole new way. 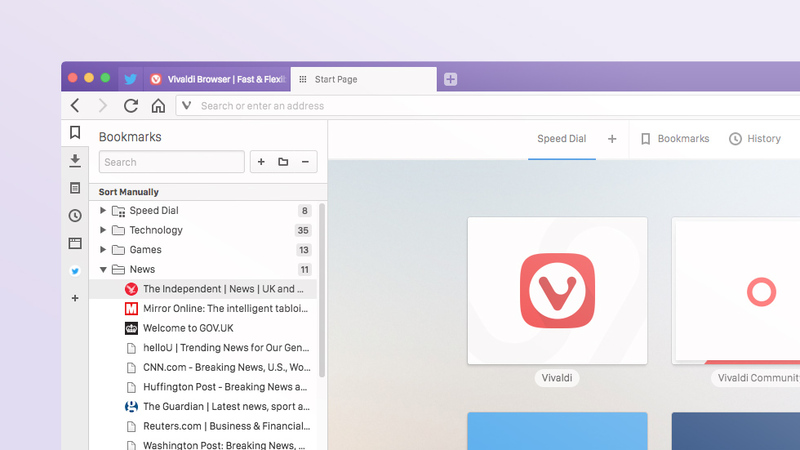 Visual, informative and functional – History in Vivaldi lets you dig into browsing behavior and makes finding previously visited sites easier than ever. 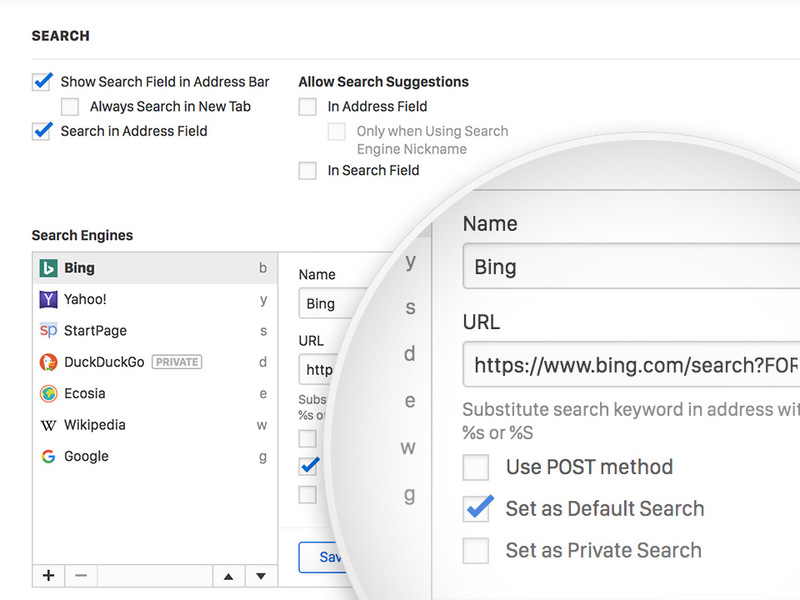 Powerful search options let you find what you're looking for in your own way. Switch engines on the fly using nicknames. Add a separate default for searching in Private Windows. There’s a huge amount of flexibility to explore. 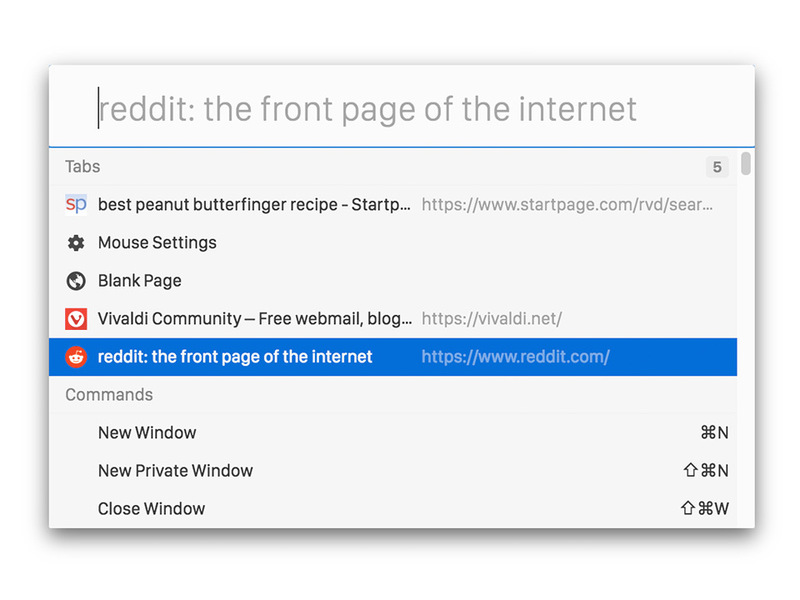 Use the Quick Commands menu to find an open tab, search your history and bookmarks, or search the web with any installed search engine. You can even use it to find and issue commands in Vivaldi. 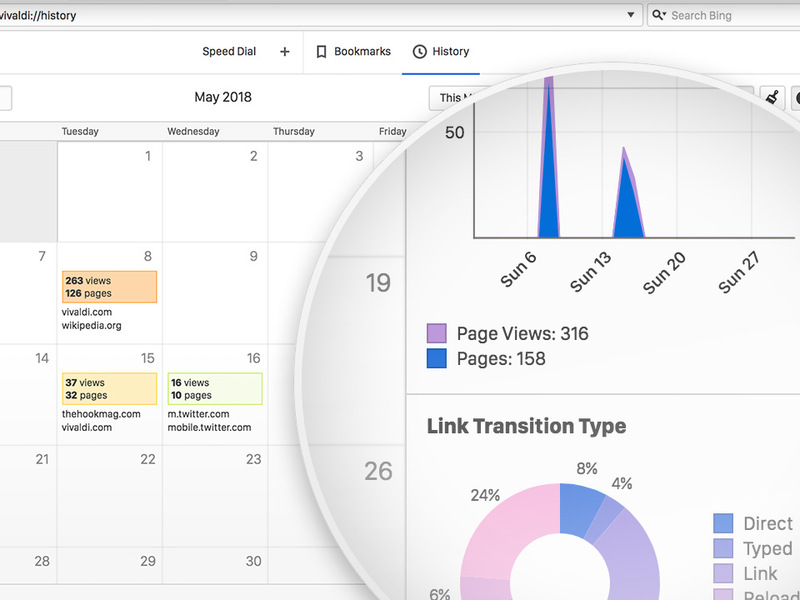 Jump to the next page in a sequence or back to the first page you’ve visited at a site in a single click. Fast Forward and Rewind are great for navigating through search results. 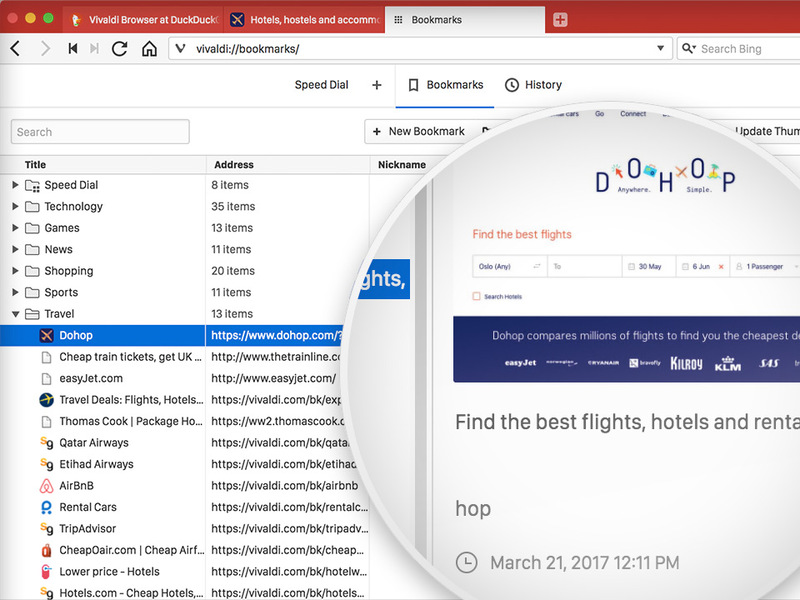 Get organized with an extensive Bookmarks manager. Add nicknames and tags to keep things tidy and never lose track of a favorite again. 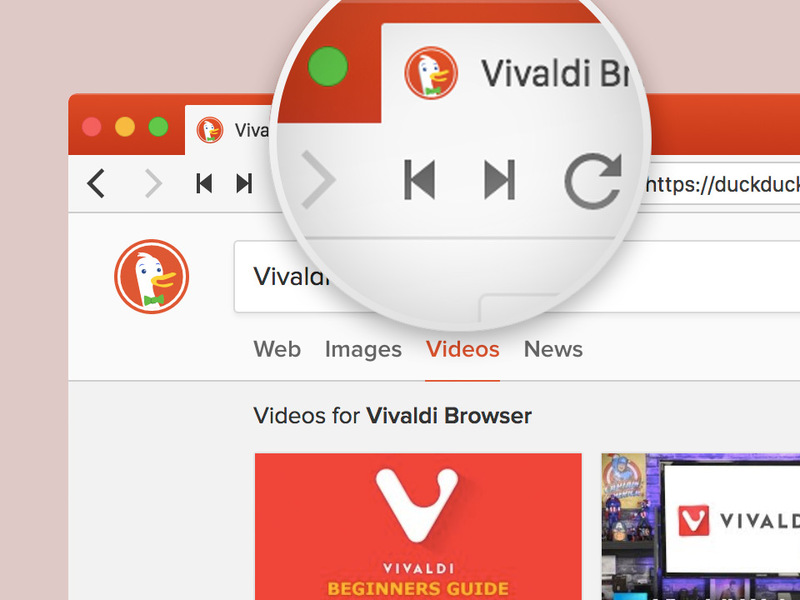 First impressions of the latest build of Vivaldi - it's faster than Firefox.